THE LISTED PRICE IS FOR THE ARF VERSION, without Tx/Rx, battery or charger. But you can choose a TX/RX and battery to make your own RTF. 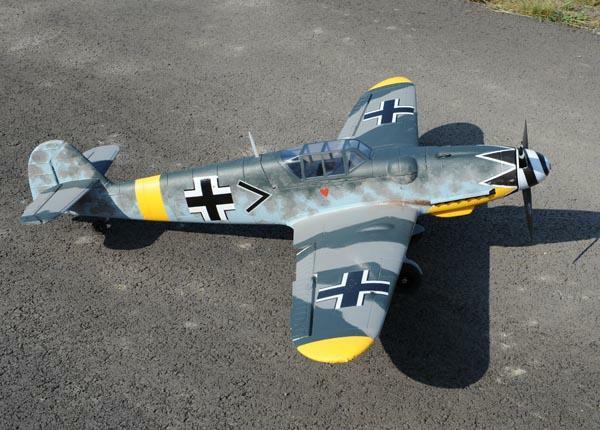 Me-109! 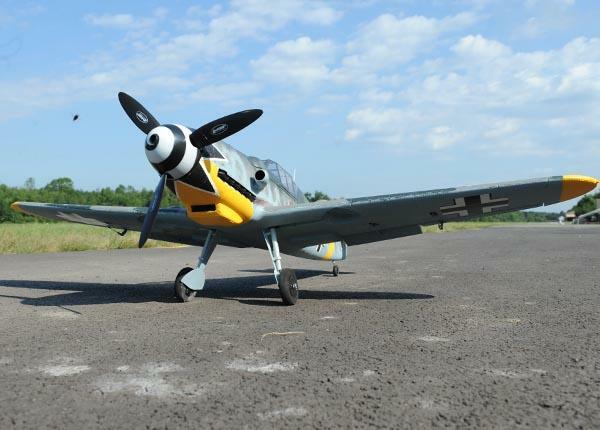 No, Bf-109! No matter what you call it, it's here! 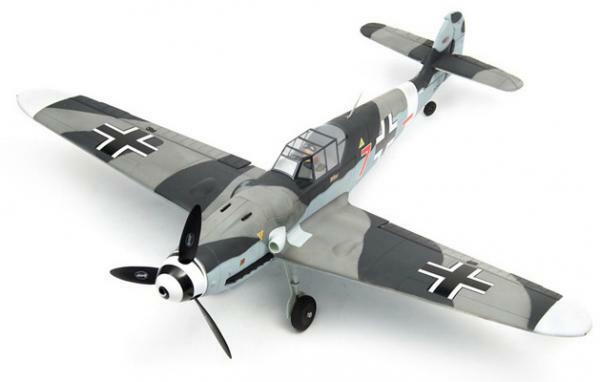 Nice lines, nice balance, good power, easy handling- just like a real Me-109! Even the knock-kneed gear! Another great Dynam fighter, and it looks like they saw some videos about powering their fighters with 4 cells, since they're continuing in that vein with this baby. Of course, we put in a bigger battery, which makes for longer flight times, which makes for...heat. While we were ground testing the flight duration of a 3000mAh 4 cell (you wind it up to full power and put on a stopwatch), the nuts in the plastic motor wall holding the motor bracket on melted out at around 9 minutes. Therefore, we don't recommend doing that, and we DO recommend putting a vent in the motor compartment- we have a video for how to do a nice job. Also, I'm not a fan of a lot of paint jobs, and this is one of them. (The first picture is my paint job, the second is Dynam's. Mine's a takeoff on Erich Hartmann's mount, what else? Dynam already provided the black and white spiral spinner, so...). There's another video on how I painted this one- it's EASY and fun! Anyways, even with that stuff, I recommend the plane. 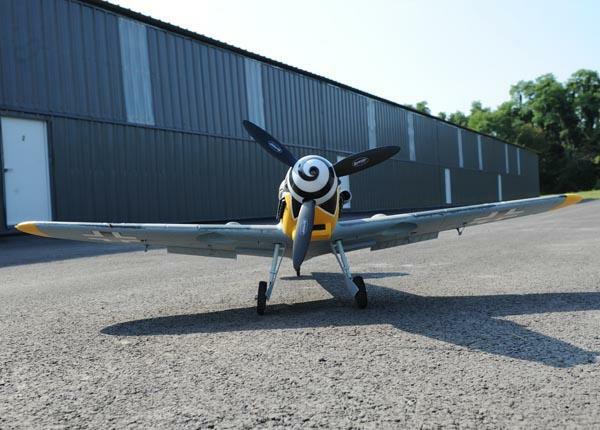 It flies as well as the Dynam Mustang on a 4 cell, which rates an 11 on our knob. 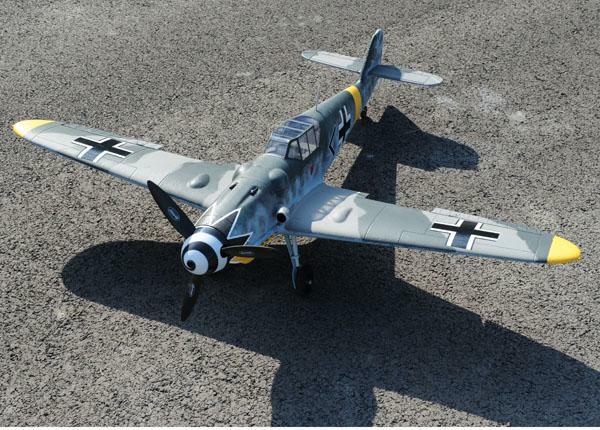 BUT - it's got a lot of muscle and torque, and I'd say you need a few more hours of experience for the Me-109 because it's a BRONCO! YEAH, BABY! And with some venting and a 3000mAh battery, you can keep it up for about 10 minutes! 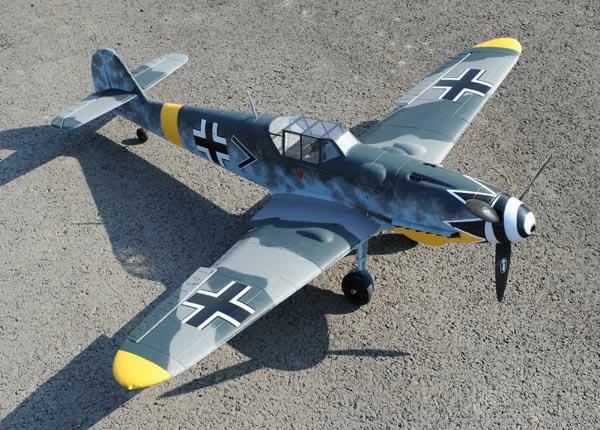 Of course, we have a Crashproofing Kit for this baby, and of course we recommend it. 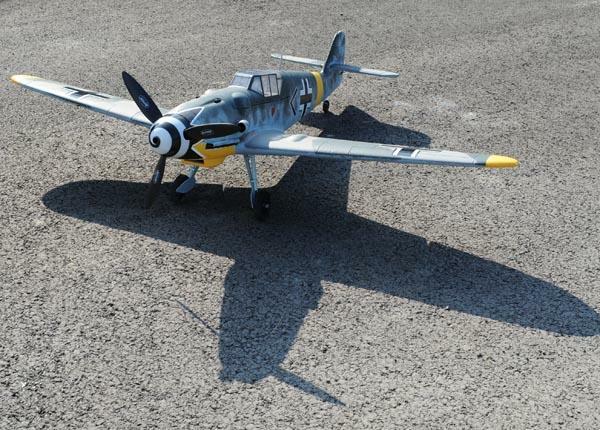 The Dynam Me-109 in our video has the MAX Crashproofing installed, and is running on a 3000mAh 4s 25c Lipo. With the MAX Crashproofing, the CG balanced out with just the bigger battery, so it's running light, and has a LOT of power! If you've seen any of our youtube videos, you know how well Crashproofing works. I wish I didn't test the stuff so much, but when you fly crazy, you crash crazy sometimes. (Otherwise known as S**T HAPPENS) SO- protect your investment with Crashproofing! By the way, we know Crashproofing doesn't make a plane crash proof- it's just our cute name for the reinforcement kit that WILL make your plane fly better and last longer, and it works really well doing both of those things. 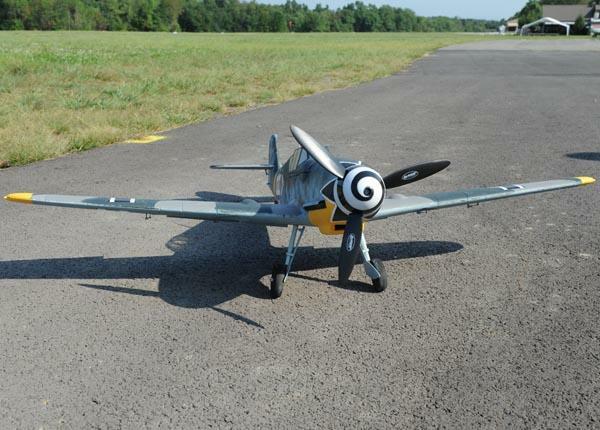 Check this video of another Dynam fighter (the P-51 Mustang) screaming vertically into pavement. And check this out- the same plane flying after the crash! 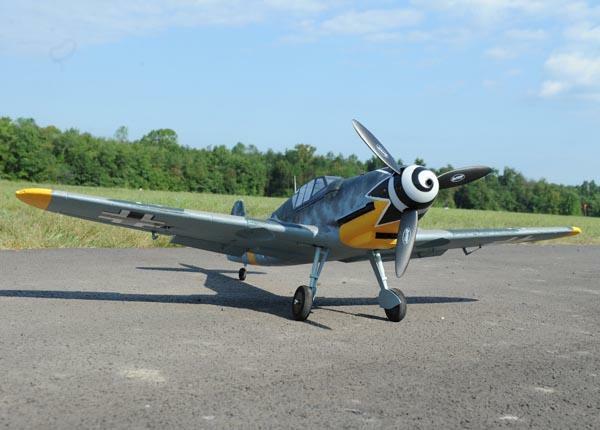 These Dynam planes fly very well, and are sturdy out of the box. This one is BIG, but still small enough to fit in the back seat of any car. My big complaint with Dynam is their sometimes ugly paint jobs, but the good thing is that the decals are separate, so you can do some re-painting and apply the decals after. 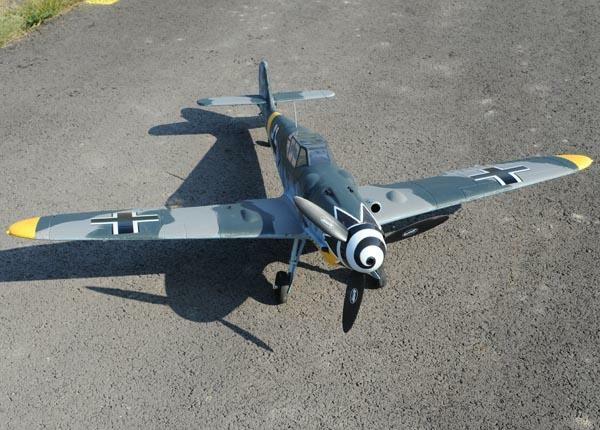 I happen to be a big fan of this, because I pretty much always want to do something to my planes to make them look more authentic, and the do it yourself decals make this much easier. We have "how to" vids to help you with your decorating job and more, if you're into it- check the Killerplanes channel on youtube. We're also working on a "how to" page up on the website. 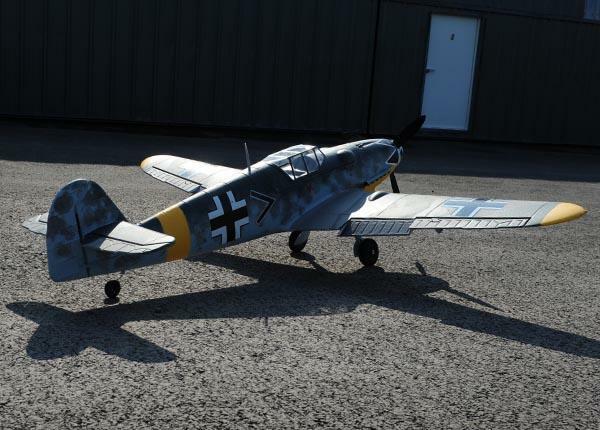 Pick up a Dynam Messerschmitt today, and take it out with your Dynam Spitfire and re-enact the Battle of Britain- let's see those videos!